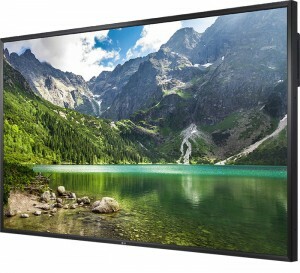 PSCo, in partnership with LG Electronics, has announced the launch of LG’s brand new 84" UHD LCD large format display and 55" LCD videowall display in the UK. Now available through its rental and technical distribution businesses, the products further strengthen PSCo’s business offering to channel partners by giving them access to the latest, most innovative display technology, including a 4K Ultra High Definition (UHD) display and player. Additional value will be delivered through bespoke rental and sales packages. Jamie Bugler, sales manager IT Solutions at LG Electronics, said: "PSCo has a great track record in encouraging creativity and pushing boundaries with ingenious display technologies and we’re excited to launch our very latest, high performance, professional display products through its sales and rental business channels." LG has appointed PSCo as an exclusive stockist of the 84WS70, the world’s first 84" UHD LED backlit large format display capable of playing 4K Quad HD content. A 1400:1 contrast ratio combined with automatic brightness adjustment sensor and accurate colour reproduction ensures delivery of content clearly, vividly and precisely. The sheer size of the screen makes it ideally suited to retail as it is almost big enough to accurately reproduce a life-size person when in portrait orientation. Equally in broadcast and creative applications the display’s wide viewing angles can make audiences feel drawn into a scene and part of the action. The 84" comes with an LG 4K media player to showcase content with maximum impact at the highest resolution. The LG 55WV70MS LCD is the perfect videowall solution to showcase dynamic multimedia content to audiences without distractions. What sets it apart from its competition is its ultra-narrow bezel of 5.3mm (bezel to bezel), the slimmest bezel on a 55" videowall on the market, its Shine Out technology and gloss front finish, which keeps brightness consistent in high ambient light. Like the 84", the 55" offers wide viewing angles plus its 99mm slim display depth allows for greater installation flexibility in a wide range of target applications. "The two LG displays are a great fit with our current portfolio and really impressed us in terms of their unique features and high level of innovation," commented Stuart Holmes, CEO of PSCo. "We will be supporting our channel partners with comprehensive technical support services and adding value with customised rental and sales packages for the new displays, including brackets, stands and players to help partners meet customers’ specific requirements and achieve more in their projects." PSCo channel partners interested in viewing the LG 55WV70MS and LG 84WS70 can book into the Reading Assessment Centre for a demonstration.